Time to clear out my bookshelves again. 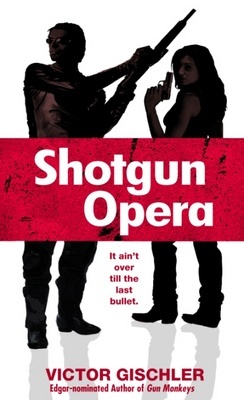 This time, I’m giving away my copy of Shotgun Opera, by Victor Gischler. Mike’s nephew Andrew needs to disappear, and he needs to do it yesterday. Hanging with the wrong kind of friends, he’s seen something he shouldn’t have, and now he’s running for his life with an assassin on his trail. The consummate professional hit woman, Nikki Enders is the most lethal of a deadly sisterhood. And Andrew Foley is next on her extermination list. Unless Uncle Mike can stop her. As kill teams descend on Foley’s farm, one pissed-off ex—tough guy is about to take a final, all-or-nothing stand with shotguns blazing…. Want a free book? Just leave a comment before midnight on Wednesday, January 19 and hope for the best. And the Winner of Two Free Max Barry Novels Is…. 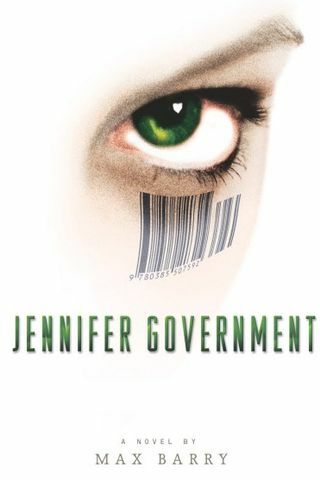 I’d offer to send you a post holer (for digging holes for posts), but I’ll just send you a copy of Max Barry’s Jennifer Government and Company, instead. Just email me your address and let me know where to send ’em. It’s time for a little spring cleaning. And, I thought what better way to free up some shelf space than to have a little giveaway. 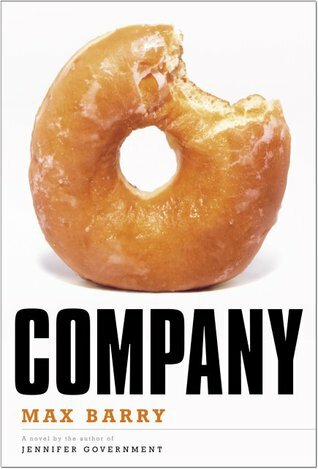 With broad strokes, Barry satirizes corporate America in his third caustic novel, taking aim at corporations that turn people into cogs in a machine. A bitingly funny take on corporate life by the author of acclaimed bestseller JENNIFER GOVERNMENT. Nestled among Seattle’s skyscrapers, The Zephyr Holdings Building is a bleak rectangle topped by an orange-and-black logo that gives no hint of Zephyr’s business. Lack of clarity, it turns out, is Zephyr’s defining characteristic. No one has ever seen the CEO or glimpsed his office. Yet every day people clip on their ID tags, file into the building, sit at their desks, and hope that they’re not about to be outsourced. If you think these books sound like something you, or someone you know, would enjoy reading, just leave a comment telling me about the worst job you’ve ever had (or just say “hi”). A winner will be randomly selected after midnight on Friday, March 19. That’s right…you have a little less than a week to enter. Get to it. Tell your friends. Sorry, only US/Canadian residents are eligible. * Synopses courtesy of Barnes and Noble.